Exposed pipes under a bathroom sink can add to a design element in the room by providing a utilitarian look. While some bathrooms can accommodate the pipes, they may not suit every homeowner's taste. You have a few options for hiding the pipes and adding to the decor of the room. Pedestals hide the pipes under the bathroom sink. A pedestal can hide the pipes beneath the sink in the bathroom. You may choose a pedestal that is wide enough to enclose the pipes if the plumbing has a tight grouping. You may also choose to hide the sink trap with the pedestal and leave the supply pipes exposed. If you opt to leave the pipes exposed, you should use chrome pipes for a more decorative appearance. Sink skirts can hide the bathroom plumbing, along with any items you choose to store under the sink. 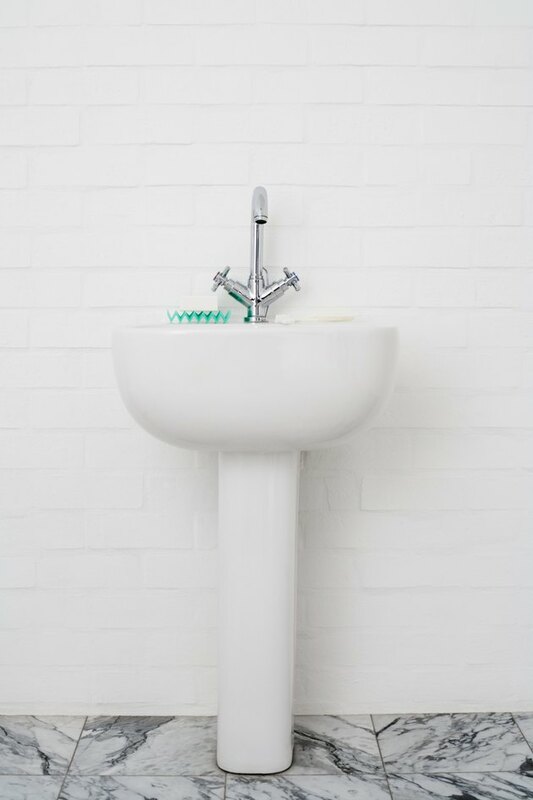 A sink skirt provides extra storage space for items such as toilet tissue, soap and cleaning products. You can change the fabric on the sink skirt to redecorate the bathroom, as well. For example, use a floral and feminine fabric for a Victorian bathroom decor or metallic gold for a lush, glamorous bathroom design. Use a beaded curtain to camouflage the pipes under the sink with multicolored strings of beads. Beads are available in craft stores in a wide array of colors and shapes. Create a design of your own to coordinate with the style and decor of the bathroom. For example, try making a beaded curtain with uniform colors and shapes, or mix it up with a curtain in a rainbow of colors and various bead shapes. A basket with a height to fit under the sink can provide additional storage in the bathroom. Cut the back of the basket to accommodate the pipes and create an opening in the front for storing extra towels, toilet tissue and extra soap. Open metal shelves are also available that fit under the sink, provide extra storage and accommodate the pipes.